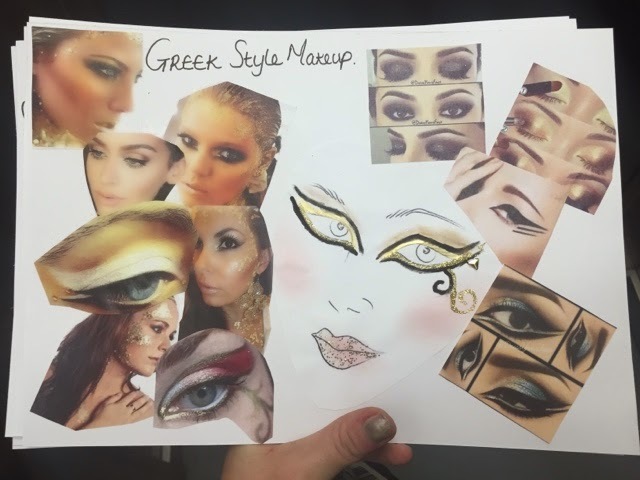 I LOVE a challenge and we were asked at college to to choose a woman from around the world and recreate the whole look including mood boards to help us bring the look to life. 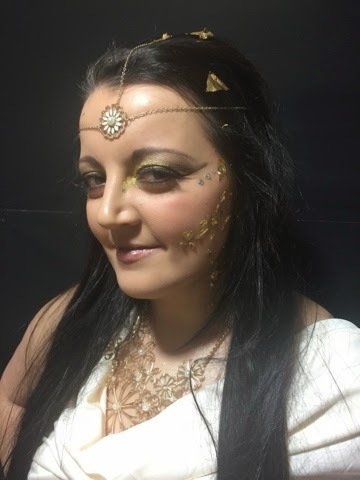 So I decided on Greek goddess, my friend Steph offered to be my model and she had the perfect look for this her skin tone is perfect for whites and golds. 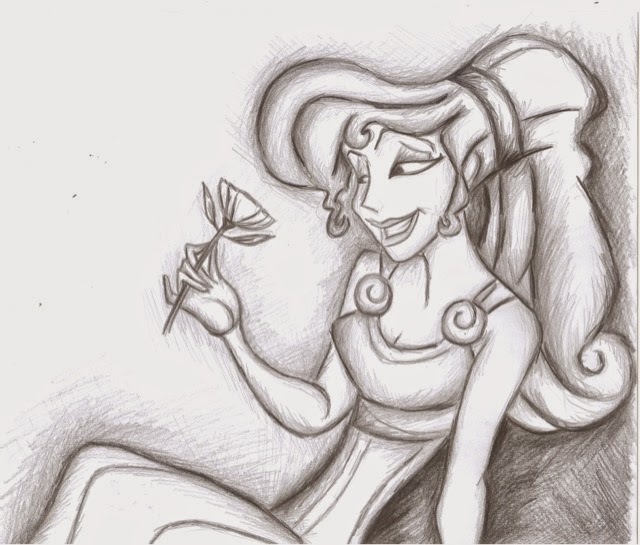 Also I love Disney and Hercules is one of my top Disney moves and my image was based on Meg from it. She is just so beautiful. I am extremely upset I didn't think to take before and during images. But I have a selection of after images that show the overall look. 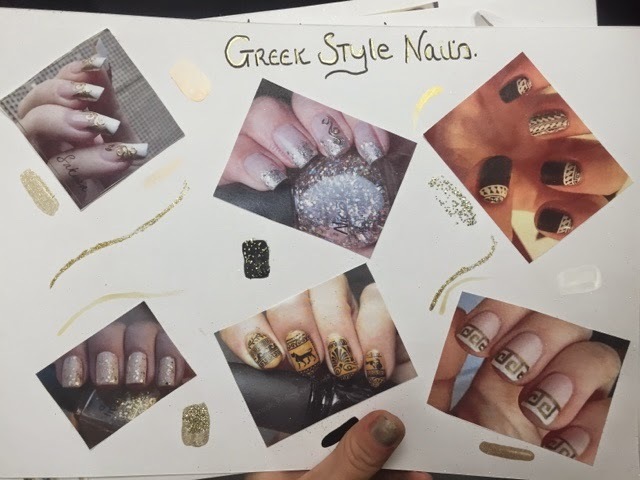 Our mood boards had to cover everything from makeup, accessories, clothing, hair and nails. 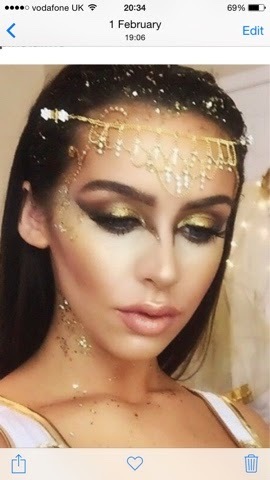 I incorporated the gold Ct dust on the hair and face, darker brows and glowing skin. 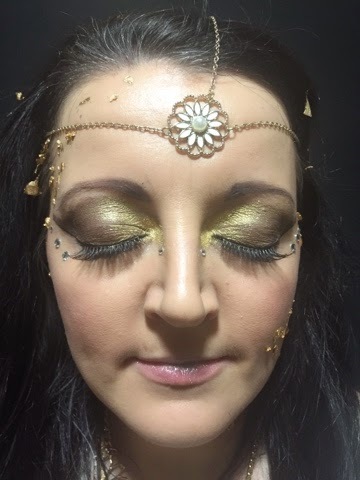 I also enjoyed working with multi tonal golds to create the eye look. I feel I used different aspects from each image to create my overall look. 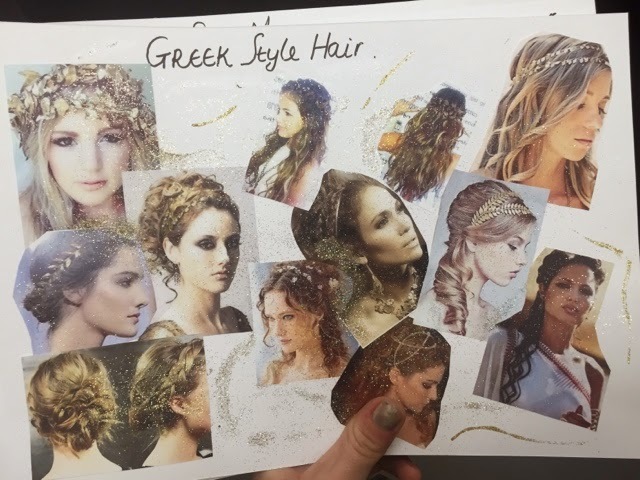 To create my hair look I went for tussled with a extension clip accessory, with gold leaf through the hair and an accessory to complete the look. Due to time restraints and the hair extension being straight I was unable to create a curled look. I ebcoprrrate a bit of everything for the final look but chose to steer away from blacks. 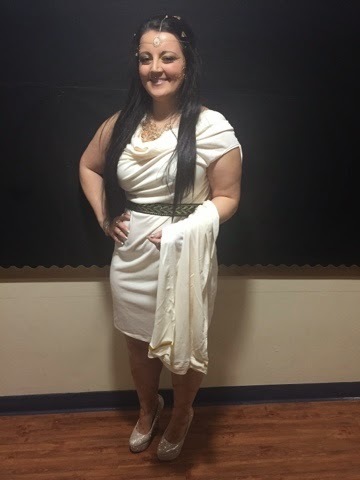 I chose my outfit from Smithys its a shorter less traditional style of a toga but it a modern take on a classic look. I had th flower necklace from the mood bird and a number of rings simpler to my original chosen designs. Earrings and head piece matched the necklace with a flower theme. 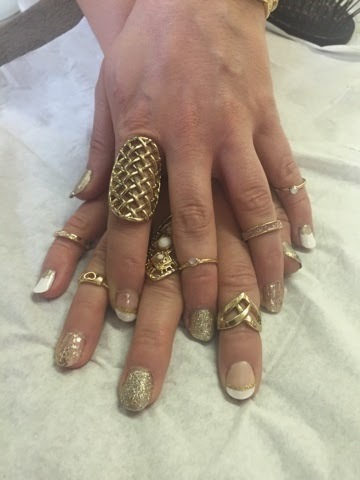 All jewellery was brought in the sale from new look. It was similar to what I had originally planned. 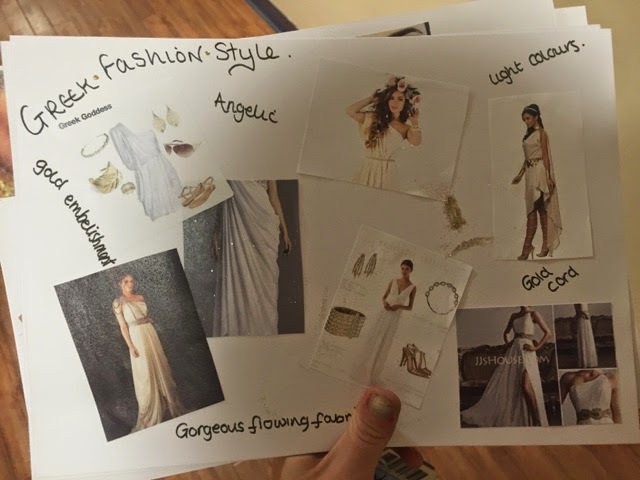 We then had to recreate our final look from the mood boards created. I was terrified by pre run hadn't gone to plan but it wasn't on my model. So when I had to do the look in about 2.5hours I really felt the pressure. My final look was based on this beautiful inspiration image I found from Pinterest the original creator was amazing and I fell this to be breathtaking. 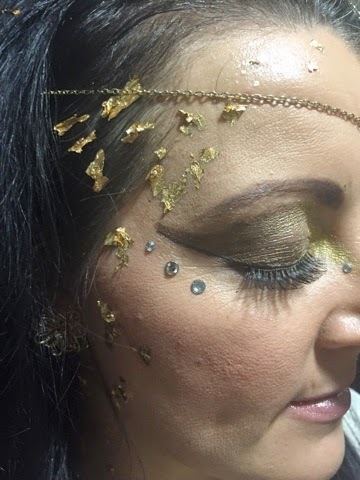 This looked incorporated a number of images that I used on my mood board, this included the uses of the gold scattered over the hair and face and gold lips. I used a different head piece due to the origin being out of stock but the new one matched the chosen necklace perfectly. 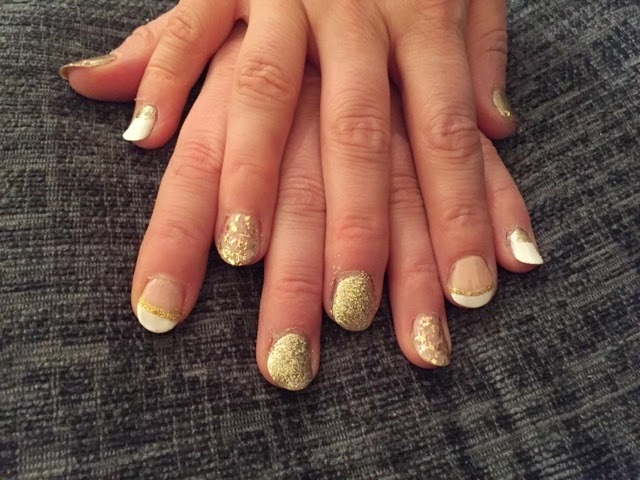 I did the nail design and art the night before to save me time as I new that to me would be the longest pft as it requires the nails to dry so they didn't get ruined during the dressing stage. 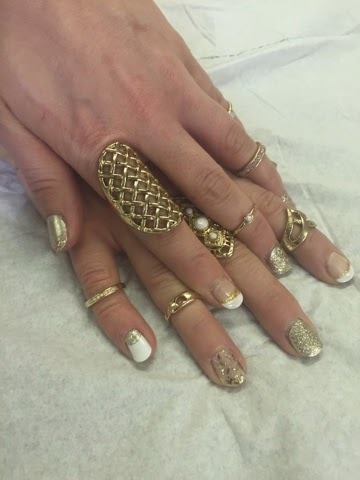 I couldn't decide on a single pattern for the nails so chose to incorporate a few different styles which I feel with the final look worked very well. 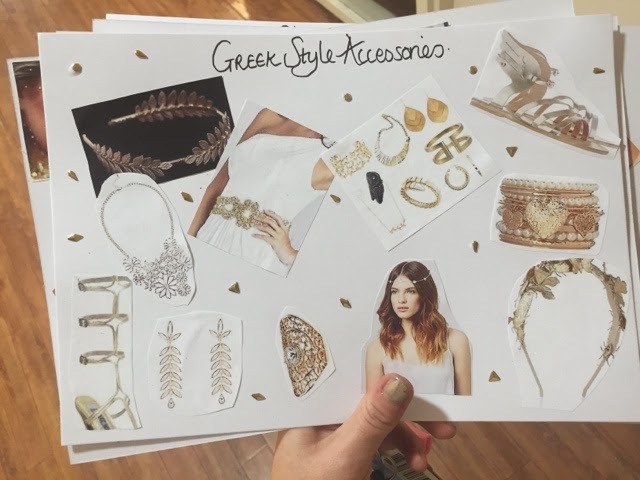 This way I got to use as many styles on my mood boards as possible to create the overall look. I intended for her to look like a goddess from the heavens, glowing and draped in jewels. I was so nervous at the beginning of the task which my model had noticed. After a little while I was more comfortable and found it more enjoyable. 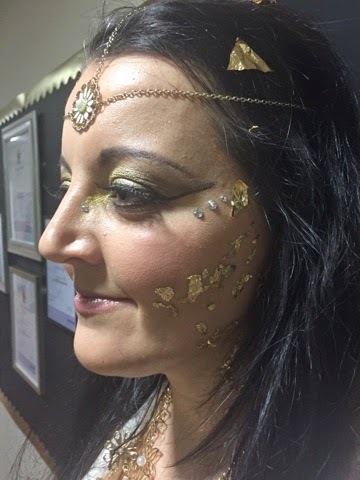 I was having lots of fun with the make up as I got to do something different and really play around with looks and colours, using helms and colours you wouldn't use for an every day look so i found it really made me think about trying hard to get it as close to what I framed perfect as possible. 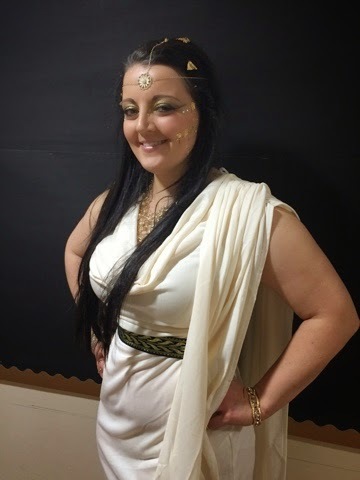 Next I moved on to the face and started with covering the redness and any areas with dark circles, I wanted to create a completely flawless look like a goddess. Stephan the perfect skin and eyes to work on her eyelids took the colour very well and I was so pleased with how it ended up looking. I used a lot of different products to create the look. 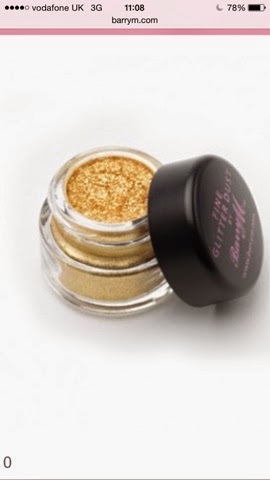 I have listed below a few of the products that went into the creation of the look. 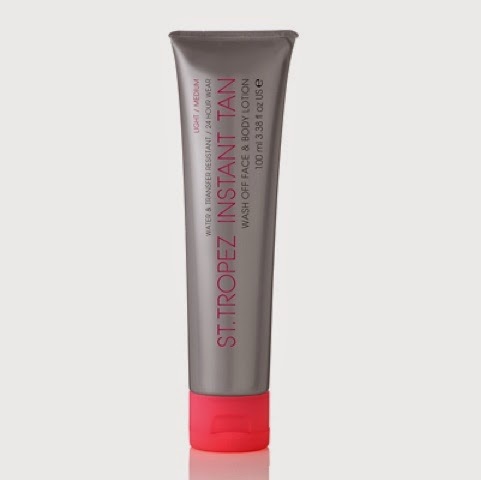 I started with an instant face fake tan from St. Tropez to give the skin an all over glow. 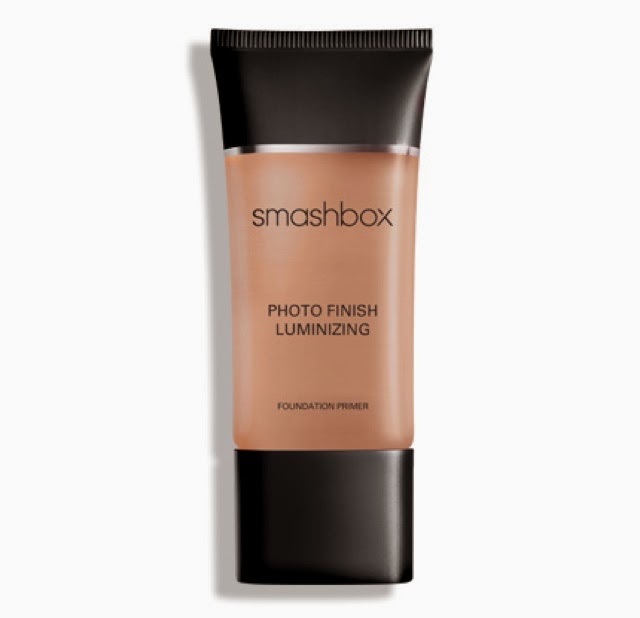 before moving onto smash box lumizing photo finish primer (it has a golden glow to it ) this allows the skin to take the foundation better with a smoother finish. 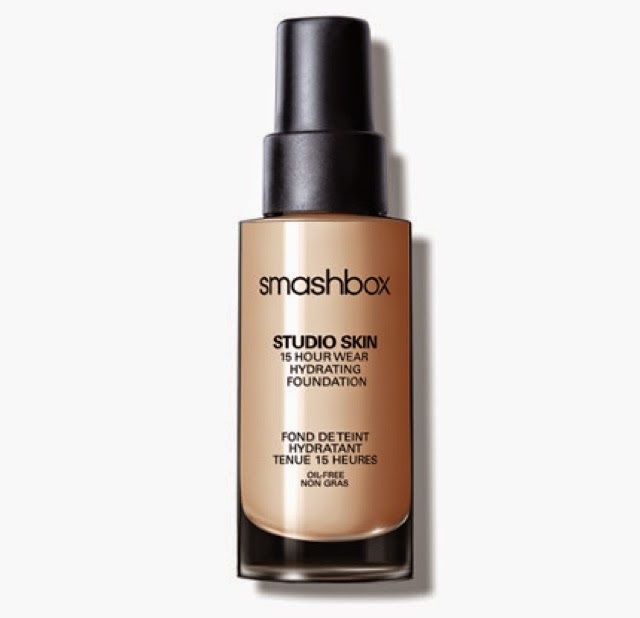 My base was finished off with snashbox 15 hr wear foundation studio finish in shade 2.3. 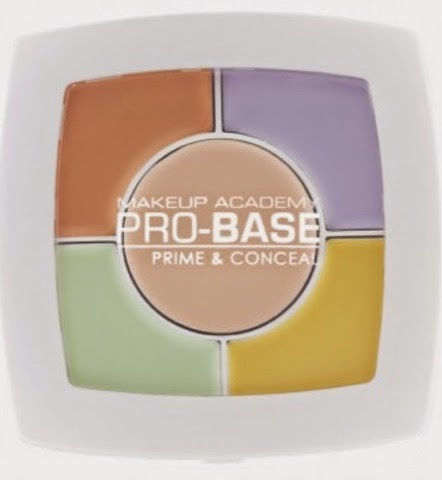 I love this foundation and use it all the time. I this the coverage is amazing. 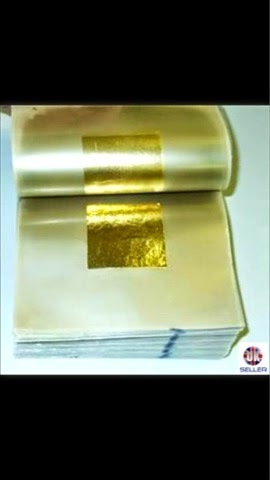 The 24 ct gold leaf which i used across the hair and face is very affordable and brought from eBay. £3.60 for 20 sheets which was more than enough. 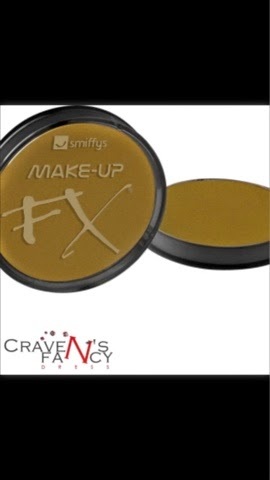 False strip lashes were also used during the make up stage to make the eyes pop. I al very pleased with the look a lot of effort was put into it on my part and my model was so pleased with the make up. Thank you for reading. Would really love your feedback.